As you travel mountain roads splashed with brilliant fall color, it&apos;s easy to understand why Asheville and the Blue Ridge Mountains have inspired artists and craftspeople for generations. What makes Asheville&apos;s craft scene unique is that you&apos;ll find artists here are not only preserving traditional mountain handmade crafts but also are utilizing cutting-edge techniques to breath new life into these art forms. 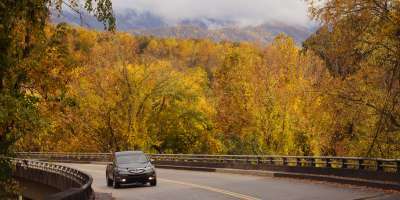 We&apos;ve put together a series of fall drives that&apos;ll help you discover Asheville&apos;s rich craft legacy while you enjoy the gorgeous fall color. Along the way, you&apos;ll meet local artisans who have led Asheville to earn the distinction as one of America&apos;s Top 10 Towns for Craft Lovers. Here are three suggested day trips, designed to help you discover craft in the most colorful areas for each part of the fall season. From downtown Asheville, follow I-26 north to U.S. 19 E. A four-lane highway takes you through the rich farmland of the Toe River Valley to Penland School of Crafts. This nationally-acclaimed school offers tours through November 15. Tours are offered Wednesdays at 1:30 p.m. The gallery stays open through the first weekend of December. Continue on to the town of Spruce Pine, where you&apos;ll find the Toe River Arts Council (TRAC) on Oak Street. Here you can see the work of the member artists, many of whom teach at Penland. Pick up a map showing where to find their studios throughout the surrounding area, including locations in the towns of Bakersville, Celo and Micaville. At Little Switzerland connect with the Blue Ridge Parkway and follow it to Mt. Mitchell. 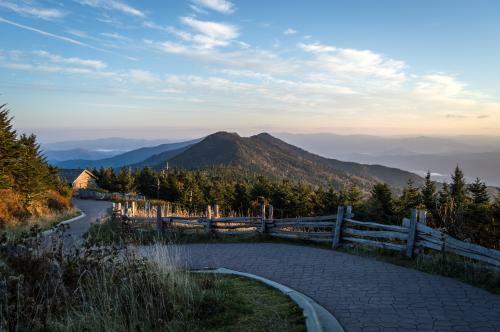 At 6,684 feet, it is the highest peak in the eastern U.S. As you near Asheville (milepost 382), stop by the Folk Art Center, the most-visited attraction on the Blue Ridge Parkway. 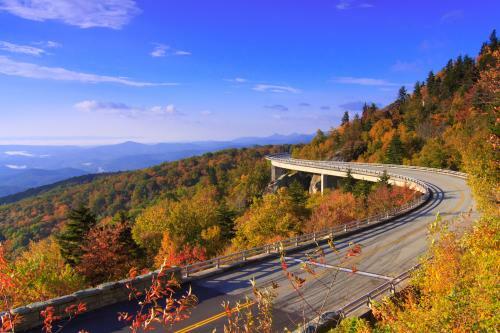 Continue south on the Parkway to the next exit, which will bring you to the edge of Asheville’s city limits. Begin your adventure near the historic Omni Grove Park Inn. 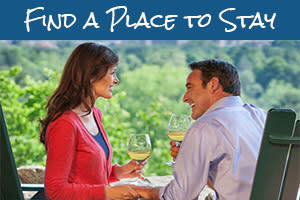 Adjacent to the Omni Grove Park Inn, stop at historic Grovewood Village. Grovewood Village once housed the weaving and woodworking operations of Biltmore Industries, an arts and crafts enterprise. Today, the historic district is home to Biltmore Industries Homespun Museum, working artist studios, a sculpture garden, the Antique Car Museum and Golden Fleece restaurant. After leaving Grovewood Village, link up with Kimberly Avenue, a maple-lined drive of ornate homes. Use Edwin Pl. to get on Charlotte Street, which takes you into the downtown Asheville area. 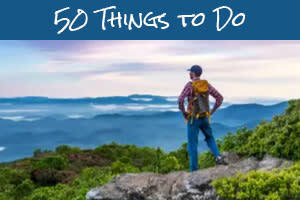 In downtown Asheville, you can explore a wide variety of galleries and studios. The galleries of the Downtown Asheville Art District feature the work of local, regional and national artists. At Lexington Glassworks, watch skilled artists create functional and sculptural glass. 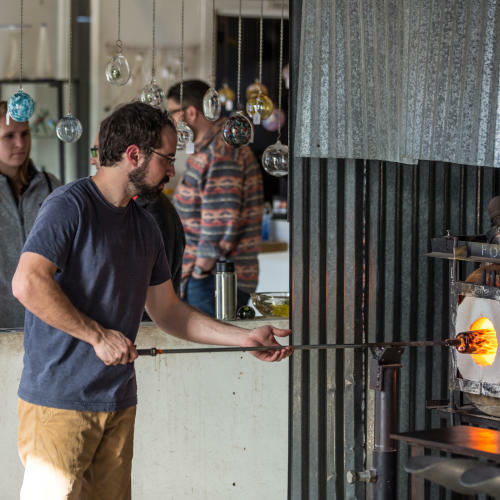 Take Clingman Avenue out of downtown to head into the River Arts District where you can sign up for a class to blow your own glass piece at the North Carolina Glass Center. 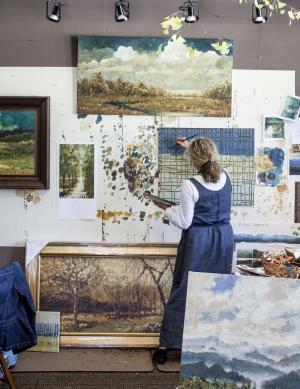 While in the River Arts District, visit the studios of working painters, potters, weavers, woodworkers and glassblowers. There are more than 200 working artists in this district alone. From the River Arts District follow Depot Street to Lexington Ave. and hop on McDowell Street to head south into historic Biltmore Village. Here you’ll find shops and galleries in the pebble-dash stucco homes built for the workers of Biltmore Estate. 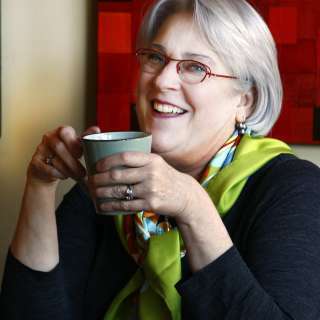 Be sure to check out New Morning Gallery’s wide selection of art, crafts, jewelry and furniture and the Biltmore Village location of the Southern Highland Craft Guild Gallery. Take Biltmore Avenue north to return to downtown Asheville/north Asheville. From Asheville follow U.S. 74 East through Fairview and into Hickory Nut Gorge. This is apple country, and you’ll find plenty of road side stands selling fresh produce, apple cider, or pumpkins. Find woven and wood pieces at The Manual Woodworkers and Weavers in Gerton. As you travel from Gerton south along the mountain road that eventually parallels the Rocky Broad River, explore the eclectic mix of crafts in A Touch in Time, housed in a Victorian inn in Bat Cave. 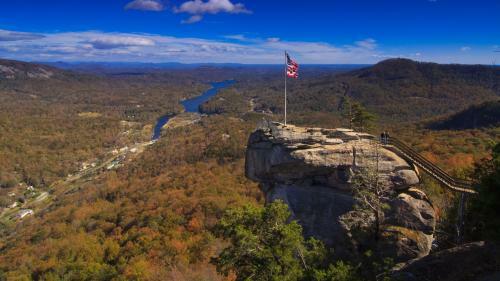 Continue on to Chimney Rock Park, the setting for the movie Last of the Mohicans, and take in the views of Lake Lure, where Patrick Swayze danced with Jennifer Gray in Dirty Dancing. Head back to Bat Cave and pick up NC Highway 9 (while this road is currently closed as of August 2018, crews expect it to reopen for fall 2018). Highway 9 is a winding, scenic mountain road. Wind your way up to Black Mountain where you can see on-site demonstrations of hand-forged works of art for garden and home at Black Mountain Iron Works. Then explore the many galleries and artisan boutiques that make this small town worth the stop. From Black Mountain, take U.S. 70 through the Swannanoa Valley back to Asheville. Fall Craft Events in Asheville, N.C.
Artisans display and sell their crafts during fall events in Asheville such as the Craft Fair of the Southern Highlands (October 19-21, 2018). Nearby communities also host fall craft arts celebrations. 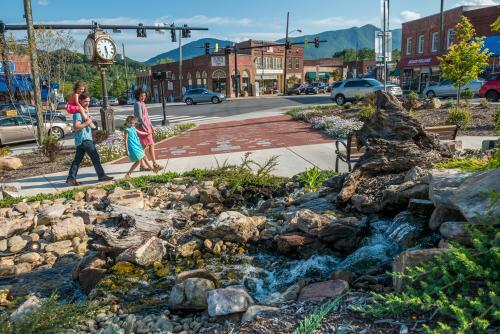 Weaverville hosts the Art in Autumn street fair (Sept. 15, 2018) and Black Mountain puts on Art by the Tracks (Oct. 27, 2018).